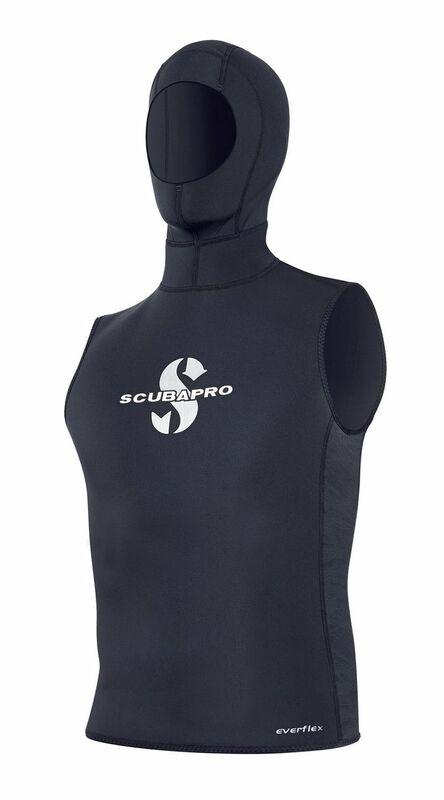 SCUBAPRO has updated its popular HYBRID line, which includes a thermal long sleeve top, cargo shorts, and a sleeveless hooded vest. 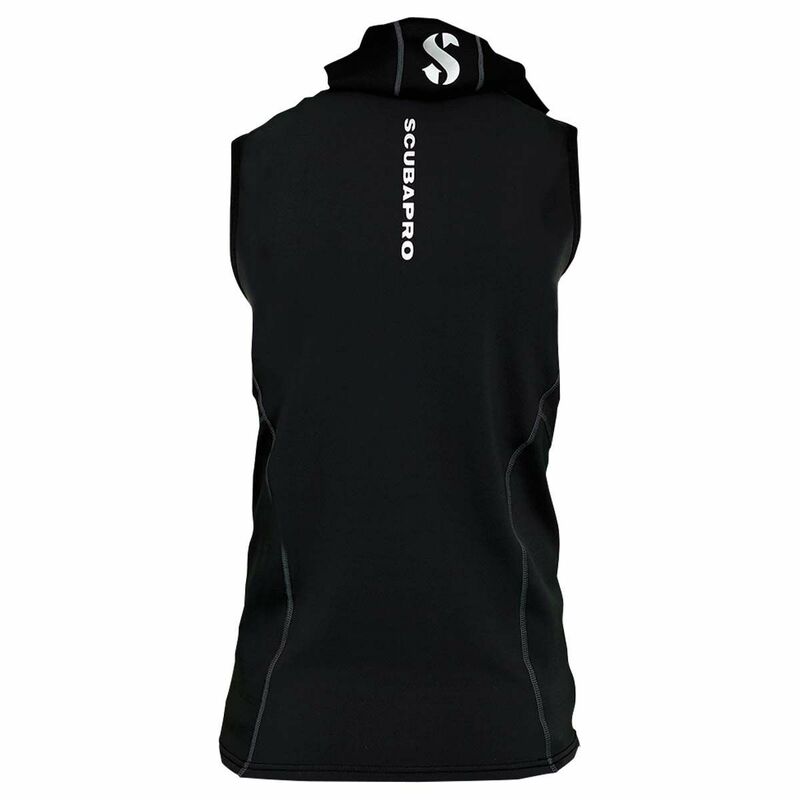 The HYBRID HOODED VEST’s ultra-comfortable neoprene/nylon blend does a great job of protecting your torso and head, two critical areas for minimizing heat loss, providing comfort, warmth and protection where you need it most. 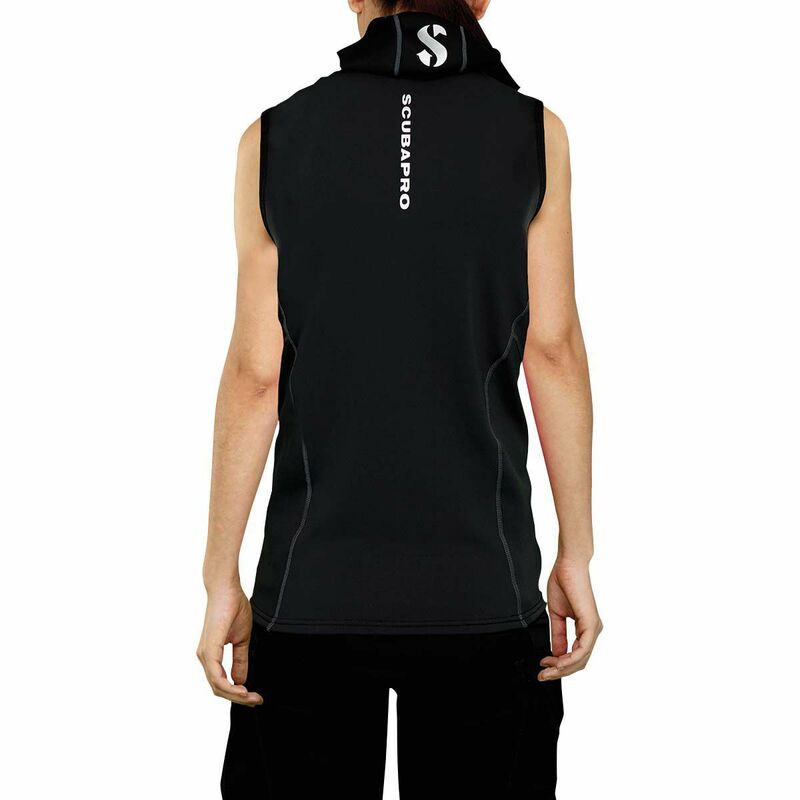 On the underside of the nylon panels a microplush interior makes the vest warm and cozy. 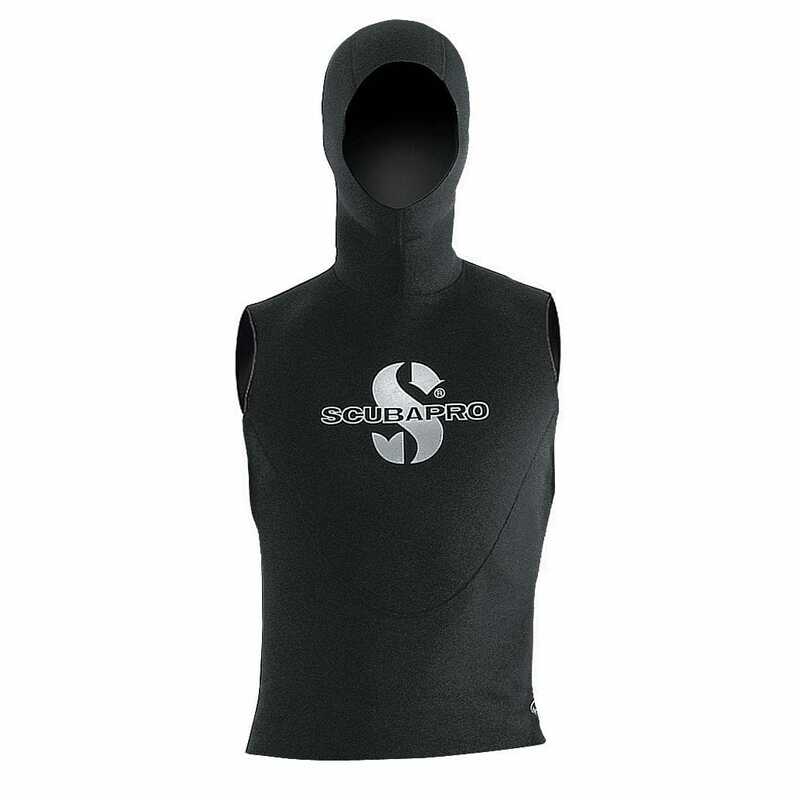 This fleece fabric absorbs less water, which keeps heat against the body, increasing overall warmth. It also dries quickly. 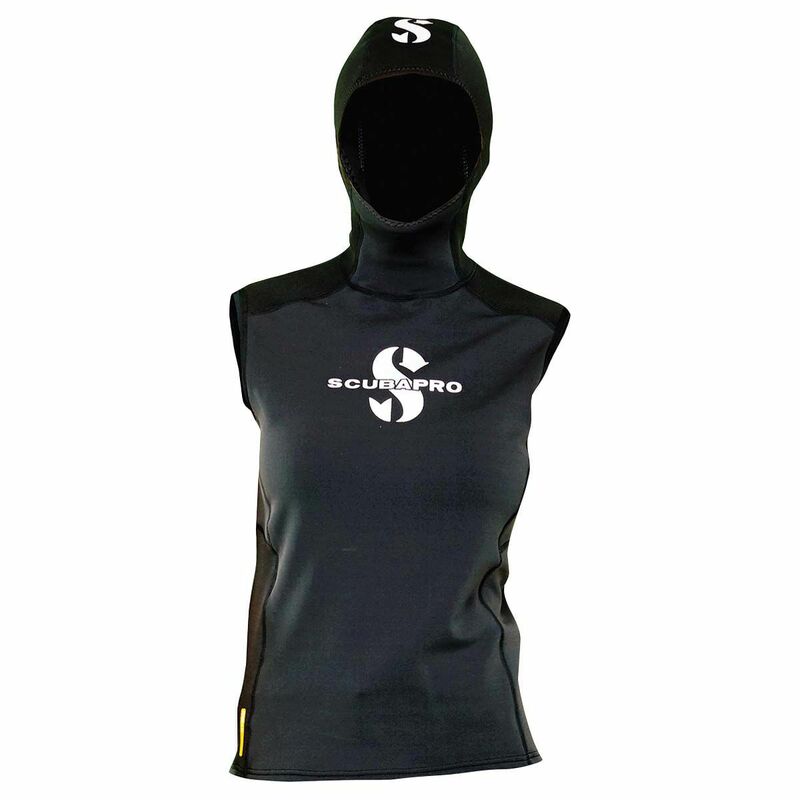 This hooded vest can be worn by itself or layered over a long sleeve thermal rash guard to increase warmth and protection.